Using Fly Free Photo Editing & Viewer software, freeware runs on windows with Mac style skin, you can view, edit, enhance and manipulate multiple pictures simultaneously and easily. Key features include batch resize, batch photo slideshow PowerPoint, convert entire web page from HTML to image and powerful editing tool like crop, resize, RGB, gray scale, bright, contrast, rotate, add text, remove red eye and more. 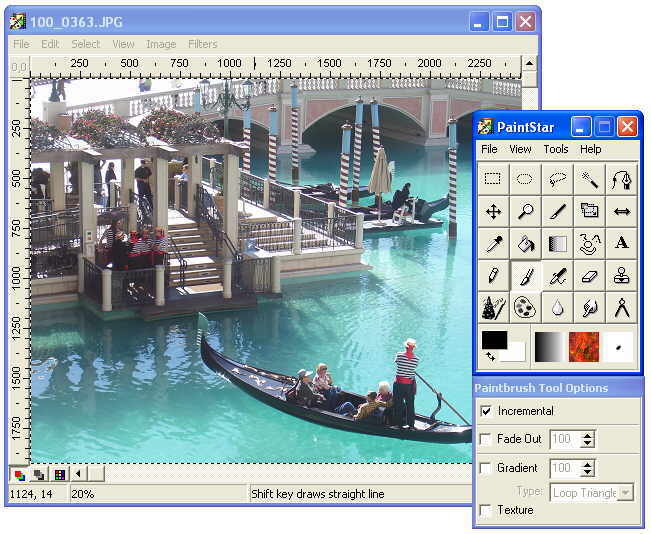 Fly Free Photo Editing & Viewer Free Download - we do not host any Fly Free Photo Editing & Viewer torrent files or links of Fly Free Photo Editing & Viewer on rapidshare.com, depositfiles.com, megaupload.com etc. All Fly Free Photo Editing & Viewer download links are direct Fly Free Photo Editing & Viewer download from publisher site or their selected mirrors.